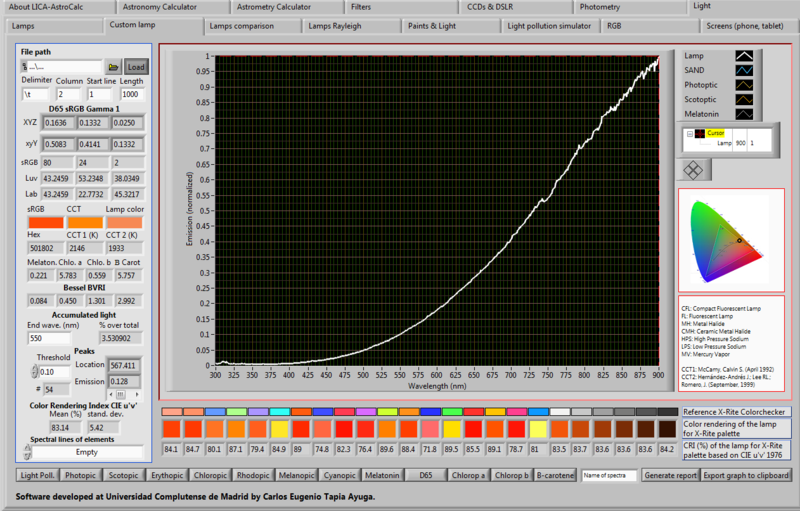 This is free software created by Carlos Tapia to analyse spectra of lamps and to to derive parameters as CCT, melatonin supression index etc. You can download the AstroCalc code from Carlos Tapia pages . "LICA AstroCalc, a software to analyze the impact of artificial light: Extracting parameters from the spectra of street and indoor lamps"